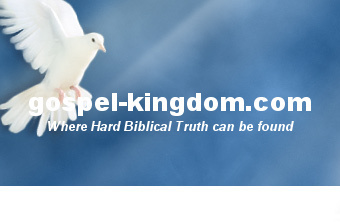 gospel-kingdom.com - Destroy the Soul? So have I finally gone over the edge and created a strange new doctrine? No. I am merely using the Borg from the TV show Star Trek as an example of what God does not want to do. Years back, when I 1st became Spirit filled, a brother in the Lord was discussing with me the salvation of the soul. He was saying that the soul needs to be destroyed. After a time, I went back to him and asked him if he thought that when we are in heaven we would be like the Borgs in Star Trek. For those of you unfamiliar with the Borg or Star Trek, let me give a brief description. Star Trek was a science fiction TV show that started in the 60's, then in the mid to late 80's they came out with a new show called: Star Trek: The Next Generation. In this new series they created a new enemy for the humans and the Star Fleet Federation to fight. This was the Borg. The Borg were part humanoid and part robot. They traveled in cube shaped space ships and conquered planets. They would take the entire population and turn them into borgs like themselves. A borg would lose his complete individuality and have machines implanted into his body. A borg would practically be soulless, and would have no personality, no likes or dislikes, and no individualness at all. They operated like bees or ants and referred to themselves as a collective or hive. My friend understood my analogy and confirmed my suspicion of his doctrine. He believed God wanted man stripped of his soul and personality. This is not true and is a false conclusion of scripture. Let's take a look at what scripture says. Thus God not only wants our souls saved and preserved, He has provided a way to do so. 2 Pet 3:9: The Lord is not slack concerning his promise, as some men count slackness; but is longsuffering to us-ward, not willing that any should perish, but that all should come to repentance. Isa:1:11: To what purpose is the multitude of your sacrifices unto me? saith the LORD: I am full of the burnt offerings of rams, and the fat of fed beasts; and I delight not in the blood of bullocks, or of lambs, or of he goats. Hosea:8:13: They sacrifice flesh for the sacrifices of mine offerings, and eat it; but the LORD accepteth them not; now will he remember their iniquity, and visit their sins: they shall return to Egypt. Rom:12:1: I beseech you therefore, brethren, by the mercies of God, that ye present your bodies a living sacrifice, holy, acceptable unto God, which is your reasonable service. We are freed by Christ, not put into slavery of Law. But remember I do preach denial here, and not gluttony. To save the soul it must be denied. But we deny our souls, we do not deny things. For example, alcohol should not be denied from our presence, but we can be in the midst of alcohol and not partake. If we flee from alcohol and the world how are we to be a light on a hill? 17: Think not that I am come to destroy the law, or the prophets: I am not come to destroy, but to fulfil. I am not telling any former alcoholics or young ladies to go run into a bar and start preaching. We are to live by the Spirit, not by any list of do's or don't's. I strongly suggest reading all of Romans 14 where you can learn we don't live by a list. Nor are we to condemn those who have stronger faith and eat something we do not. But the one who eats also should not cause the one who doesn't to sin. There is a balance here. And the balance is not any list or guideline, except to follow the Holy Spirit. The soul may have fallen into sin, through the fall of Adam and the fall of our spirit. But the soul was created by God, not by sin. Therefore God gave us personalities and tastes. He gave us individual gifts. God does not want to deny us fun and pleasure, He wants our soul saved so we can enjoy these things rightly and in a Holy manner. Rom:16:16: Salute one another with an holy kiss. The churches of Christ salute you. 1Cor:16:20: All the brethren greet you. Greet ye one another with an holy kiss. 2Cor:13:12: Greet one another with an holy kiss. 1Thes:5:26: Greet all the brethren with an holy kiss. But society has fallen so much that most places in the world, especially the western world,we cannot and do not obey this. My wife is from an Eastern European nation, when I got married there, her family gave lots of kisses to me. In America you don't see folks kissing guys/grooms. And the habit of kissing the bride is in decline. And I do not see my fellow christians kissing each other. This is because our souls are not saved. We have inordinate affections. Math 13:8: But other fell into good ground, and brought forth fruit, some an hundredfold, some sixtyfold, some thirtyfold. Math 13:23: But he that received seed into the good ground is he that heareth the word, and understandeth it; which also beareth fruit, and bringeth forth, some an hundredfold, some sixty, some thirty. 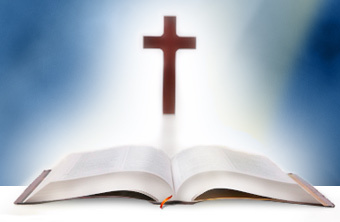 The seed is God's word, and it is through receiving God's Word that the soul is saved. Does the Bible teach a purgatory for believers? - No it does not, but go here for more info. Rev 15:2: And I saw as it were a sea of glass mingled with fire: and them that had gotten the victory over the beast, and over his image, and over his mark, and over the number of his name, stand on the sea of glass, having the harps of God. So here is a direct interpretation of Rev 15:2 from Math 5:13. So, I plead with you, be salted, be filled with the Holy Spirit, and have your soul saved. Not doing so, may cost you your soul as well as missing the rapture.